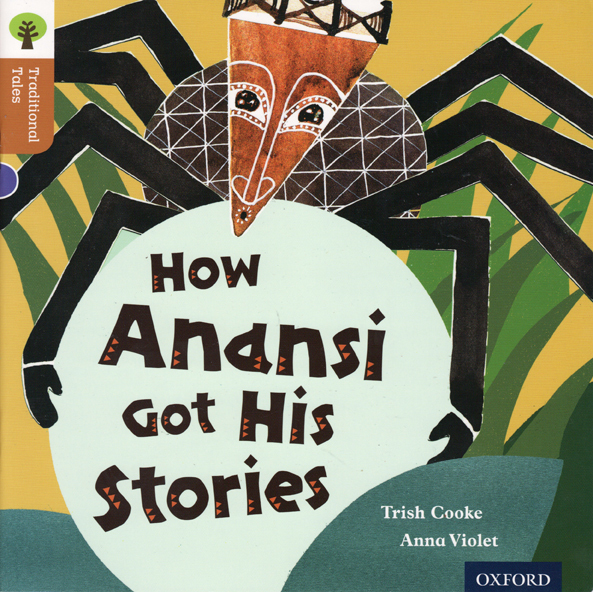 How Anansi Got His Stories has just been published by Oxford University Press (Oxford Reading Tree Traditional Tales series), and I'm very excited, because I did the illustrations for it. It is the first time I have been published in children's books, too. 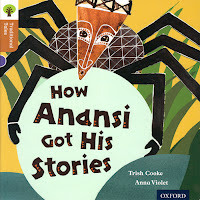 Anansi is a trickster spider from traditional West African/Caribbean tales. The other characters include a leopard, a snake, hornets and a sky god. Here is a selection of some of the illustrations. The cut-out typeface to the cover has been done by OUP. 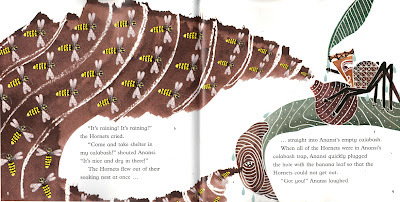 Wow congratulations Anna, the illustrations are wonderful! Brilliant! Congratulations Anna. Having your first book published is an exciting moment! Your illustrations look very strong and assured. Congratulations Anne, very impressive. Where did you draw your inspirations from? Love the colour palette. Fantastic! Congratulations on your first children's book Anna, and may many more follow! Thank you for all your encouraging comments! 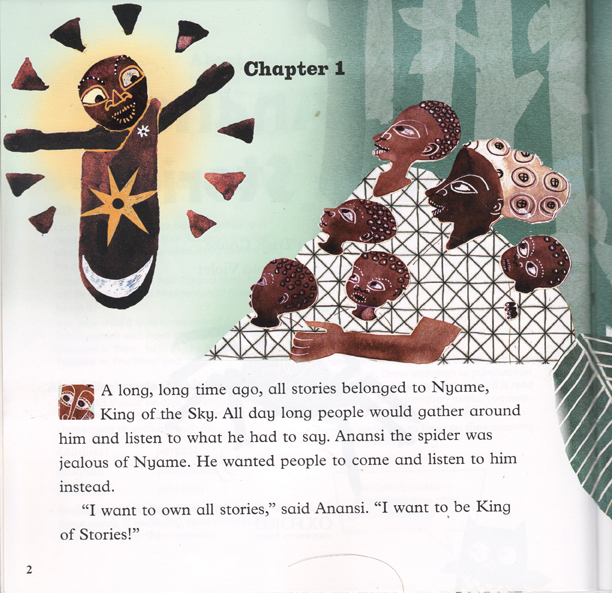 In answer to your question, Hot Frog, a lot of my inspiration came from West African art, especially textiles. Congratulations Anna! Amazing artwork and I love spiders too! Very refreshing work - love the compositional sweeps and leaps across pages too. Look forward to seeing more books from you - in the shops! This is very awesome book for readers and this article tell me how to read this book stories with schedule plan thanks for share it entry level security guard resume sample .